Ski Holidays to Les Deux Alpes in France 2017 & 2018. Once skiing was only a pastime enjoyed by the rich, in the last few years the price of air travel has dropped and skiing holidays have now become a very popular holiday choice – with more people than ever before taking to the slopes. The French Alps are a wonderfully picturesque option for anyone booking a skiing trip and there is a resort to suit any level of skier or boarder. Skiing holidays in the French Alps resort area can be, with a little thought and consideration, perfect for any skier of any standard. One of Europe’s highest resorts, Les Deux Alps is a fantastic choice for those who want to ski later in the season. The modern town is lively and bursting with excellent night life making it ideal for young groups. It is also linked to the Portes du Soleil which encompasses 13 resorts in the Alps and offers 650km of marked runs, including 230 lifts. The nearest airport to Les Deux Alps is Grenoble and the transfer time is just over 2 hours. The resort is large and is suited to all levels of skiers, from the total beginner to a seasoned skier. There is a good selection of black, red and blue runs and it is also a great resort for boarders (there is even a well-kept half pipe). If you are part of a mixed ability group, Les Deux Alps is a destination very well suited to you. For first timers and young children there are wide, easy nursery slopes and a ski school. The alpine views are some of the most dramatic from this resort, due to the height and location – even from the nursery slopes. Accommodation in Les Deux Alps caters for all budgets and the town reflects this. At peak season for a top level catered chalet you can expect to pay around ï¿½650 a week per person, based on 6 sharing. Hotels in the resort include Hotel Brunerie and Hotel Mercure. For a week’s half board in a hotel you could pay around 600 a week per person. If you stay in a hotel there is the added bonus of easy access to the ski lifts, in some cases the walk is less than a minute, so no need for long walks in ski-boots or for catching mini-buses. 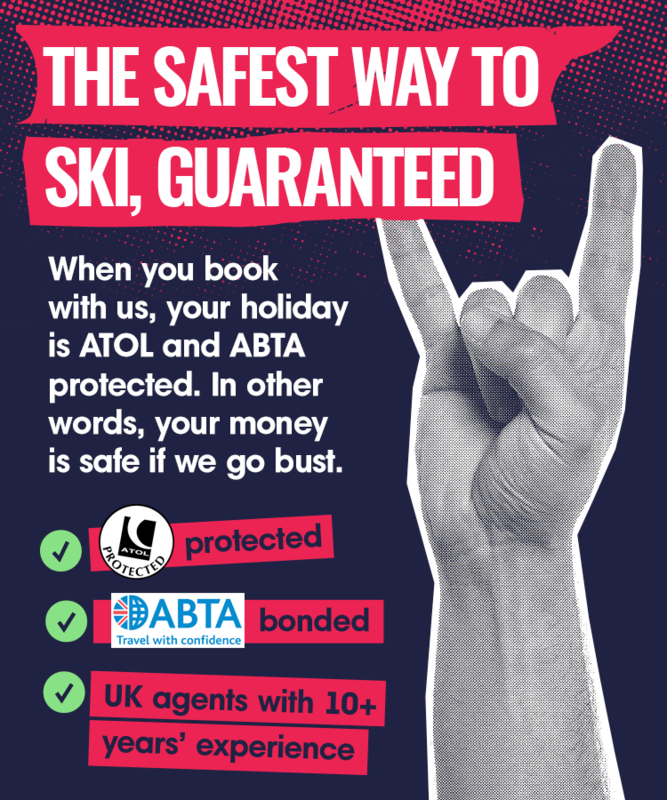 For those who want to ski on a budget, you can get a self-catering apartment for 4 at around £200 per person per week which benefits from being right on the piste. Eating out in Les Deux Alps is easy and variety is the spice of life! For mid-price food for all the family try ‘Smokey Joe’s’ and ‘Smithy’s’ for burgers and Tex-mex cuisine. Food is good value in Les Deux Alps and even though the pound is considerably weaker than it was a couple of years ago, you can still expect to pay only 24 Euros on average for a 3 course meal with some local wine. A pizza, on average, will set you back about 8 Euros and can be found at ‘Etable’. Night life is what Les Deux Alps is really famous for, it has been described as the Las Vegas of the Alps! ‘Smithy’s Tavern’ is a huge party venue with a young crowd and serves fajitas and good value beer until the early hours. ‘The Avalanche’ is the resort’s premier club and is extremely popular. ‘Pub le Windsor’ is a quieter venue and is commonly frequented by the locals. ‘Smokey Joe’s’ is a central sports bar that serves good food and ‘The Secret’ has a big-screen TV, live music and an excellent choice of beers. Les Deux Alps has plenty to do aside from its incredible skiing and snowboarding and its famous night life. Take a swim in the glorious outdoor heated swimming pool (nothing like swimming outdoors when the weather is below freezing!) and an outdoor ice rink. There is also a sports centre if anyone in your party fancies tennis, badminton or just can’t stay away from the gym. In addition to these the town has a tanking centre with a sauna, a flotarium and Turkish baths, the perfect way to relax after a hard day on the piste.